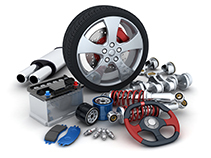 Pro Automotive is an Under Car Service Specialist that Offers Full Auto Repair. Owned and Operated by certified automotive technicians with 20+ years of experience. Providing full auto repair service to the Dallas-Metroplex are offering quality, certified, and honest service for automobiles and truck domestic and imports. Thank you for giving us the opportunity to service your vehicle. We will do our best, to make sure you are fully satisfied. Mon. - Sat. 9 A.M. - 7 P.M.